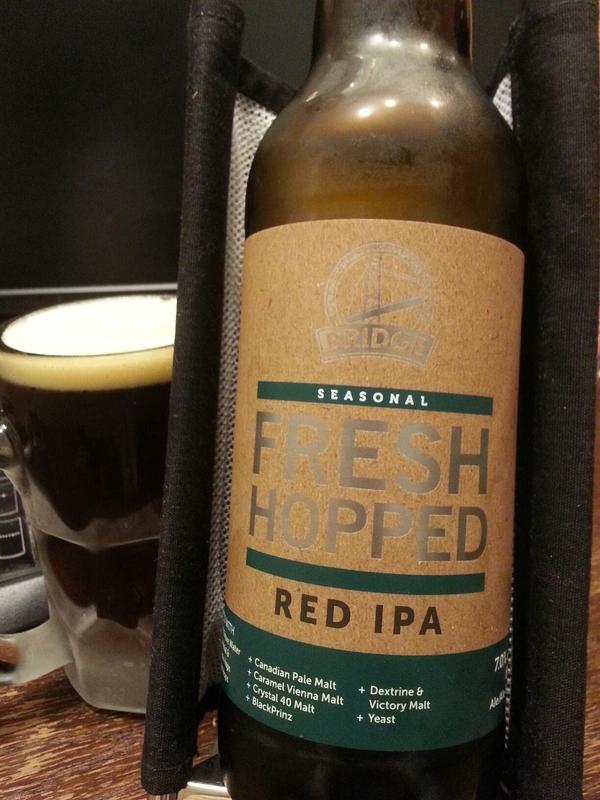 Fresh Hopped Red IPA – Bridge Brewing (North Vancouver, BC, Canada) | Justintoxicated. 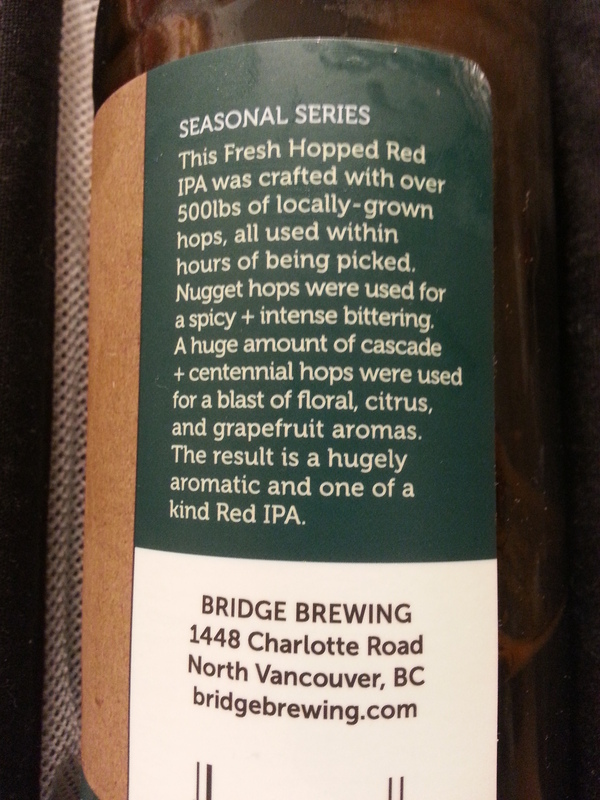 Ingredients: North Shore Water, Centennial & Cascade Hops, Nugget Hops, Canadian Pale Malt, Caramel Vienna Malt, Crystal 40 Malt, BlackPrinz, Dextrine & Victory Malt, Yeast. Visual: Pours cherry wood red with a small creamy head, very sticky lacing, thin 1mm layer of retention, scattered streams. Finish: sweet carry, subtle soft grapefruit bitter hops, light toasted caramel malt off-dry clean finish. Summary: All around smooth with very good transitions. I’m surprised at the excellent drinkability in that there’s a great balance of sweet, creamy, bitter and alcohol.